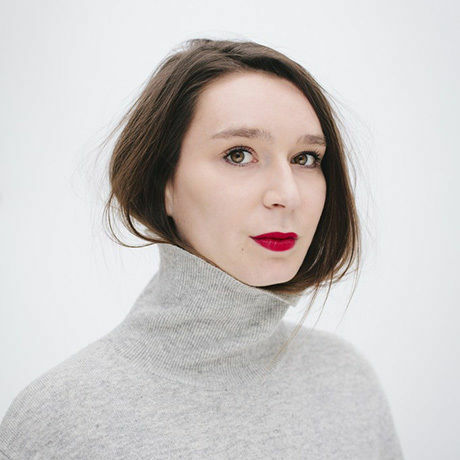 Marlène Huissoud is an experimental designer. Marlène works as a freelance designer for different companies alongside the art & design areas, and created her own company in 2013. In 2014, she graduated from a MA Material Futures (known as Textile Futures) at Central Saint Martins’ School of Art and Design in London where she developed the project From Insects : an exploration of insect materials from the common honeybee and the Indian silkworm. Her work questions our way of making by challenging the properties of natural resources. She believes in the value of the concept, not only with an outcome but with the complete creative process. She has been named as one of the UK’s top 70 rising design stars representing the future of British design by the Design Council, has been named the Most Innovative Experimental Artist of the year 2018 by AI Global Excellence Award, won the AI Business Excellence Awards – Most Innovative Design Studio London – 2018, has been nominated by the Arts Foundation UK for the Material Innovation Award in 2016, won the Make me! Design Prize in 2015, nominated for Design Parade at Villa Noailles in 2015, won the Diploma Selection Award at Designblok in 2014. Her work as been exhibited worldwide in major Institutions such as Victoria and Albert Museum London, Chamber New York, Design Miami Basel, Design Museum Barcelona, Artipelag Museum Stockholm, Design Days Dubaï, Rossana Orlandi Milan, MAK Vienna. Marlene is currently based between London and Paris and she is always open for collaborations and exciting projects. Giuliano Caffè is a coffee brand with a long tradition, now renowed with the mission of spreading the culture of coffee and promoting specialty coffee and artisanal roasting. An experienced printing service specialised in billboards, large formats, banners and signs, with unique skills in the producing and the setting up of high quality outputs in exhibit design. L'Orto Botanico dell'Università di Torino, che è parte del Dipartimento di Scienze della Vita e Biologia dei Sistemi, è il luogo in cui, dal 1729, si svolgono attività di ricerca e didattica sulle piante e sui funghi. L'Orto comprende una struttura esterna con il giardino superiore, l'arboreto e le serre, visitabili in tutto l'anno, e una parte di laboratori di ricerca ed aule. Vi sono inoltre l'Erbario, la Micoteca e la biblioteca. ORSO Laboratorio Caffè è un progetto nato dalla collaborazione e dall’amicizia tra l’azienda di torrefazione Giuliano Caffè e FKNB Enterprise, gruppo di sviluppo idee e progetti nell’ambito del food e beverage. Orso è un laboratorio esperienziale e di ricerca e sviluppo nell’ambito del mondo del caffè.